If you are one of our Philadelphia Medical Weight Loss Patients, I welcome you back to our site and I have 3 delicious recipes for you. 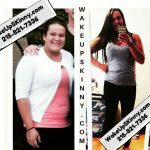 If this is your first time visiting our site I invite you to call and schedule your free weight loss consultation just call 215-821-7336 and we can answer any of your questions and schedule your free consultation. Today I am posting smoothies that are low carb and low in sugar but they do contain some good healthy fat. I usually like to have a low carb, low sugar smoothie like these smoothies for breakfast. The cheesecake and chocolate coconut smoothie are so good that I feel like I am having dessert for breakfast. Having a smoothie for breakfast followed by a sensible lunch and dinner is a great way to make your weight loss program a success. Optional: Xanthan gum – 1/8 Teaspoon this makes the smoothie more thick. Water – 1 cup or more depending on how liquid you like your smoothies. Healthy low sugar smoothies should be a part of your daily diet. Combined with a sensible eating plan and an easy walking program you have the foundation for a great weight loss program. In addition to losing weight you will be giving your body lots of good healthy nutrition and that should help improve your overall health and wellness. Many people believe that you have to lose weight to be healthy and that is true but it is also true that you have to be healthy in order to lose weight. If you are eating lots of junk food you are giving your body bad nutrition and this will make you sick and overweight. But if you give your body healthy foods you should enjoy better health and a better body. Simply stated if you eat bad food you will feel bad and look unhealthy. If you give your body good food you will feel good and look good. You get out of your body what you put into it, so make sure to focus your diet on good healthy foods. I hope you enjoyed today’s post. If you, a friend, loved one or coworker need help with losing weight or improving your overall health and wellness, I invite you to call and schedule your free weight loss consultation. Just call us at 215-821-7336 and schedule your visit now. This entry was posted in diet doctors, Diet Doctors in Bucks County, Diet Doctors in Philadelphia, Medical Weight Loss, Medical Weight Loss in Philadelphia PA, Medical Weight Loss Philadelphia, Philadelphia Weight Loss Doctor, Philadelphia Weight Loss Doctors, Weight Loss, weight loss philadelphia and tagged Medical Weight Loss Philadelphia, philadelphia weight loss center, philadelphia weight loss doctor, philadelphia weight loss program, philly diet doctor, weight loss in, weight loss in philadelphia on May 17, 2018 by Dr. Michael Kenny.